No, it’s not a typo. Trick Or Treating is for losers… Rick Or Treating is a brand new Halloween game from Circus Records. All you need to do is hit this link, engage download mode and Shazam it to find out what it is! If luck is on your side, you’ll be the proud owner of a really sharp and dark D&B track from one of their most respected, consistently heavy producers. 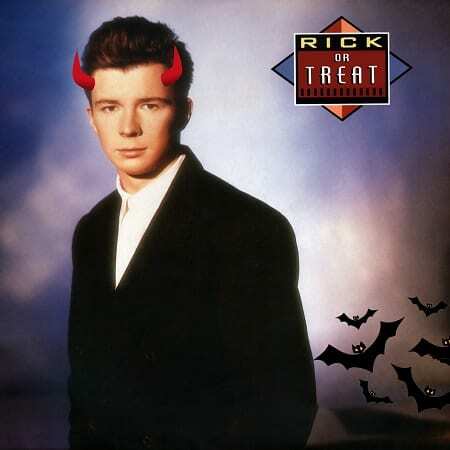 If luck isn’t on your side, you’ll be the not-so-proud owner of the dodgiest remix Rick Astley (Rick Ghastly?) has ever suffered. Can you handle this? Probably. And if at first you don’t succeed, download again. We had to… And it was worth it. Hungry for more Halloween heaviness? Check our playlist.